The Learning Value of Personalization in Children's Reading Recommendation Systems: What Can We Learn From Constructionism? This article critically reviews the personalization logic embedded in reading recommendation systems developed for 2- to 11-year-old children and its (dis)alignment with Papert's constructionist and socio-constructionist theories of learning. It is argued that the current design fails to incorporate the computer culture that Papert envisioned for children's learning. While the personalization design focuses on child-centered design, it restricts the child's contribution to the database, minimises children's agency in shaping it and reinforces individual models of learning. The paper recommends that reading recommendation systems provide opportunities for what Papert described as self-discovery, experimentation, and development of abstract knowledge. Recommendation algorithms need to work in conjunction with diversification mechanisms to challenge and widen children's thinking and diversification should not be conflated with randomization. Practical examples are provided so that the approach described in this article can be used as a foundation for conceptualising and designing children's reading recommendation systems and data-based personalized learning more broadly. In the early 1980s (that is in the era before the appearance of mass-produced personal computers), the mathematician Seymour Papert envisioned that one day, all children would have a personal portable computer that would fit their small hands and enable them to concretize and individualize their own education (Papert, 1980, 1985). A significant part of Papert’s vision became reality within his lifetime: in the 2010s, most children growing up in the Western affluent countries (Ofcom, 2014; Common Sense Media, 2016) as well as many African (e.g., Mahamud, Andrews & Rockson, 2015) and Asian countries (e.g., Tyng, Zaman & Ahmad, 2011), have access to tablet computers and smartphones, which are lightweight, portable and easy to manipulate even by two-year-olds. 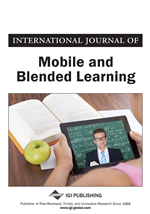 The idea of using computers to personalize children’s education has become more real with the advent of data-management technologies that use personal profiles to individualize the content children receive (Selwyn, 2016). However, as yet, these devices do not deliver the kind of child-driven discovery and experimentation that Papert had anticipated. This article provides a close look from Papert’s constructionism perspective at a specific aspect of data-based personalised education: the design of children’s reading recommendation systems. Papert’s constructionism is uniquely placed to inform the design of personalised education systems because it foregrounds digital solutions for public education and because it focuses on children’s personal interests in constructing their learning. The key component of constructionism - learning through the creation of artefacts - corresponds to several technology-oriented personalised education programs, including the reading recommendation systems. However, despite this apparent resemblance, there is a discrepancy between the design of personalised education and Papert’s ideas. Papert emphasised children’s agency in making choices, thinking independently and seeking answers via discovery learning. This paper argues that agency and discovery-learning are sabotaged by the commercial model of current reading recommendation systems. Moreover, the key limitations of Papert’s constructionism, namely that it propagates techno-centric and elitist model of learning, are further propagated by the design of these systems. As such, the providers of the personalization technologies have instrumentalised constructionist ideas for commercial purposes and exacerbated its shortcomings. This has significant negative implications not only for children’s reading for pleasure but their education more widely. The argument is built as follows: the first section outlines the core ideas of Papert’s constructionism relevant for the context of children’s reading for pleasure and the recommendation systems designed to support children’s reading in schools. The key benefits of the current systems are described, followed by a set of theoretical issues that frame the discussion of their four limitations: the lack of design for children’s 1, cognitive challenge, 2, agency, 3, discovery and 4, child-led learning. A theoretically-informed schematic model of the interaction among the child, reading recommendation database and community of users is presented, followed by a list of recommendations for implementing it in practice. The examples in the article draw on a conceptual analysis of three popular reading recommendation systems for primary-school-aged children in the UK, which have features available in equivalent systems used in US and Australian schools. When evaluating the design benefits and limitations, the focus is on children aged two to eleven years because this is the age group targeted by the educational programs and addressed by the learning theory addressed in the paper.